At North Bridge House, Africa Week is always a fantastic, cross-curricular celebration of culture and life, and last week the Pre-Prep concluded their African experience in style. African Drumming has become a regular activity at the Pre-Prep, providing a great opportunity for the children to explore rhythm and beat whilst immersing themselves in the physical, emotional and spiritual form of communication at the heart of native African life. All the children were able to take part, using real African drums to create a fabulous sound and rhythm. It’s evidently harder than it looks, so it took some concentration, but within a short space of time the children were drumming in time and clearly enjoying the beat. In addition to the drumming there were special guest-led assemblies in Years 1and 2, and many of the children took up the challenge of producing a project based on an African country. 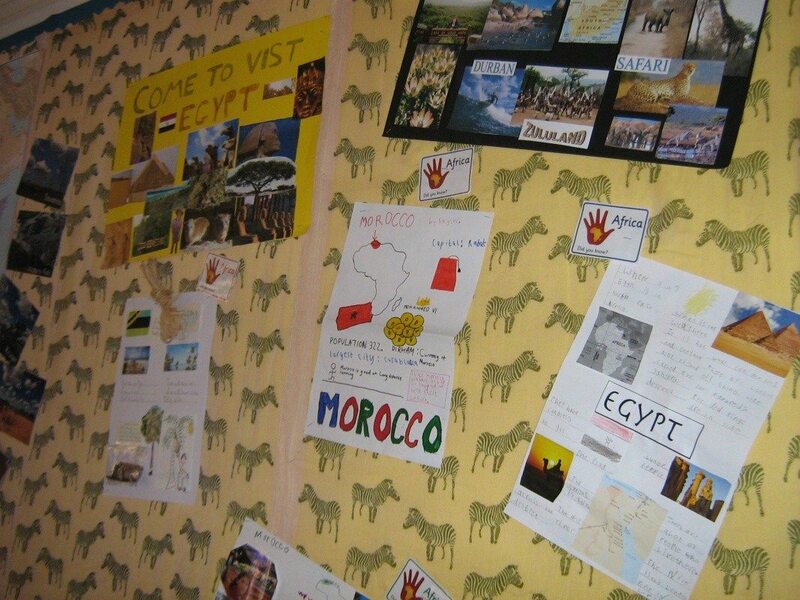 The fantastic work displayed around the school shows just how much the children enjoy getting the chance to find out more about this vast and diverse continent.